Recife is the capital city of the State of Pernambuco and one of the largest cities in Brazil, with over 1,500,000 inhabitants. 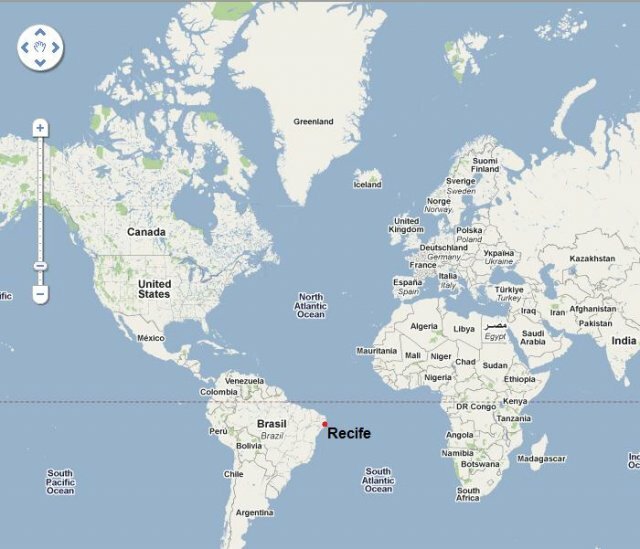 The Metropolitan Region of Recife is the main industrial zone of the State of Pernambuco; most relevant products are those derived from cane (sugar and ethanol), electronics, food, and others. 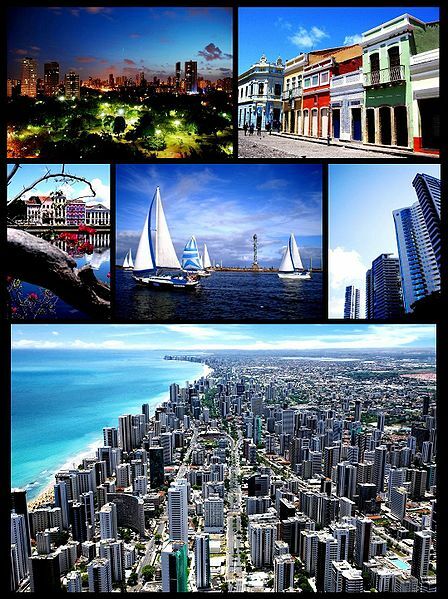 Recife has a tradition of being the most important commercial center of the North/Northeastern region of Brazil with more than 52,500 business enterprises in Recife itself plus 32,500 in the metropolitan area, which totals more than 85,000. This combination of an excellent airline, seafaring and highway infrastructure, a strong economy and natural beauty has attracted top companies to the state, resulting in its being a major center of scientific, educational and business events. The name of the city comes from the numerous reefs (recifes, in Portuguese) that protect the shore. The reefs can be seen even in Boa Viagem beach, one of the most famous urban beaches in Brazil. In fact, Recife has a great variety of beaches to be visited. The beach of Porto de Galinhas, 60 kilometers (37 miles) south of the city, has been repeatedly awarded the title of best beach in Brazil and has drawn many tourists. Recifes infrastructure is among the most developed in Brazil for travellers and business people. Recife has a very rich historical heritage, with a strong mixture of cultural elements coming from the native Indians, Africans, the Portuguese and the Dutch. The city’s cultural legacy can be seen in its architecture, with churches from the baroque period such as the Golden Chapel and the neoclassical Santa Isabel Theater. Also, during the period of the Dutch invasion, was established the first Synagogue of the Americas (Kahal Zur Israel). Nowadays, there is a Jewish Cultural Center open to visitors on the very spot the synagogue was established. After the Dutch were expelled, some Jews went to New Amsterdam (currently known as New York City) and established a Jewish community and a synagogue which is now called The Spanish and Portuguese Synagogue. Recife has a year-round tropical climate, with warm to hot temperatures and high relative humidity throughout the year. However, these conditions are relieved by a near absence of extreme temperatures and pleasant trade winds blowing from the ocean. For its many rivers and bridges, Recife is also known as the “Brazilian Venice”. Recife has an Atlantic Tropical Climate with temperatures ranging from 21-30 degrees Celsius (70-86 degrees Fahrenheit) all year round. Any time of the year really is a good time to arrive in Recife, although the seasonal differences should be noted. Summer (December to February) is understandably when temperatures are at their hottest. Between April and June, spells of heavy rain can make the climate feel cooler and certainly ensure that the surrounding rainforest remains constantly green. It should, however, be noted that heavy rain is often short-lived, arriving towards the end of the day. Tip: During the conference period is good having a little umbrella. The official plug used in Brazil has three pins.